Share your projects, tasks, notes and files with your team; track progress and time, send alerts, run reports - all in one place. 5pm is easy to use - get your team on it with no training. 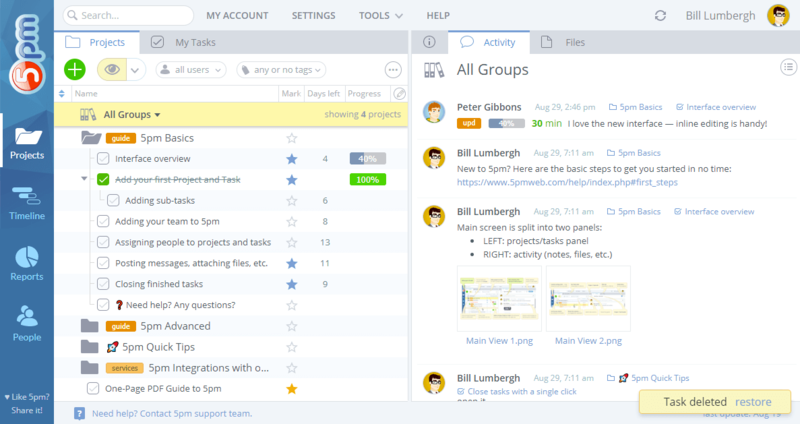 Navigate projects and tasks, browse the discussions, share files and report progress - all within one screen. 5pm Interactive Timeline offers an alternative, Gantt-style view of your projects and tasks, their durations and dependencies. You can filter the data by groups, projects, people. You can switch between daily, weekly and monthly view. 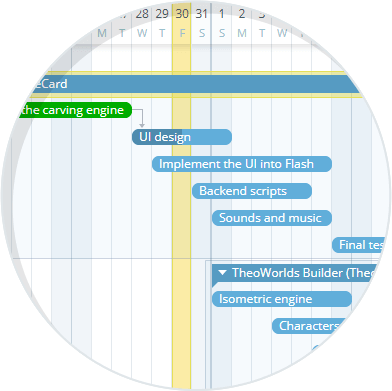 And, most importantly, you can drag around and resize your projects and tasks directly in the Timeline. Customize and build your own reports (with export to CSV/Excel and Print View). 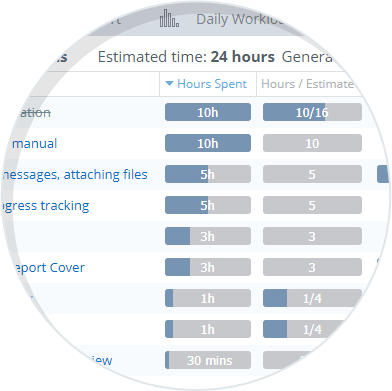 Time Report- what everybody is working on and how much time they spend on it. 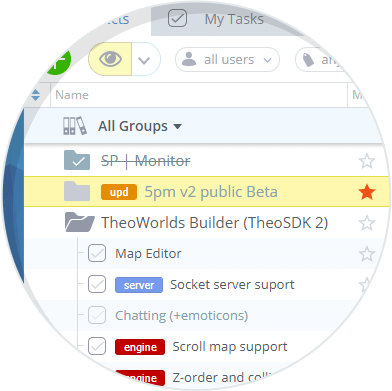 General Report- universal report that filters projects/tasks/activity in multiple ways. 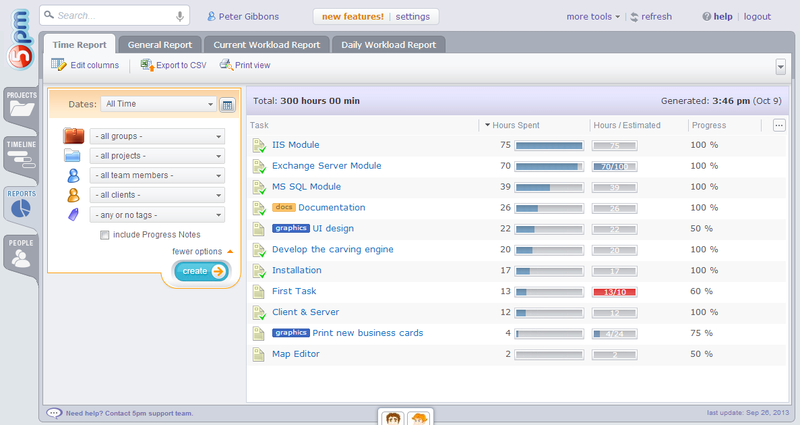 Workload Reports- help visualize and manage your team workload. See the team members that are logged into 5pm, check their status, history logs and even chat with them in real time! 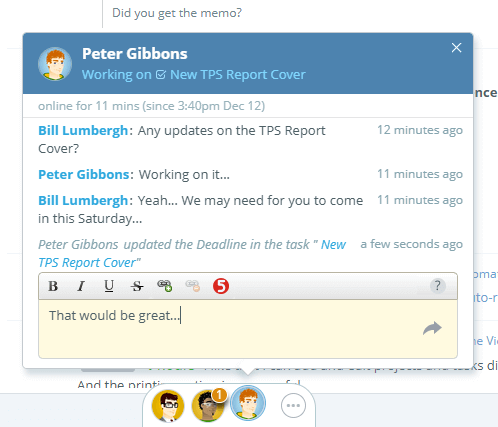 Social Toolbar is a great way to share what you are up to and for quick one-on-one conversations. 5pm interacts with emails in both directions. 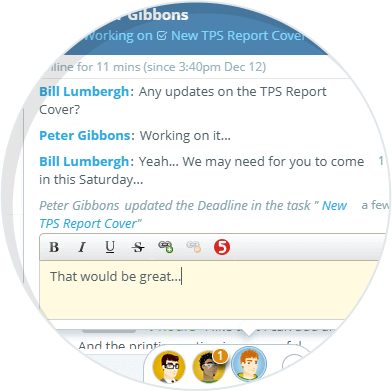 You can send team email notifications on creating or editing projects, tasks, messages, etc. You can also send emails to 5pm to create tasks, assign teams, attach files, add messages, etc. No installation needed. No IT department to maintain your servers. Just open an account and start using it through your web browser! We handle the data, backup your information, update the application with new features and deal with all the logistics. 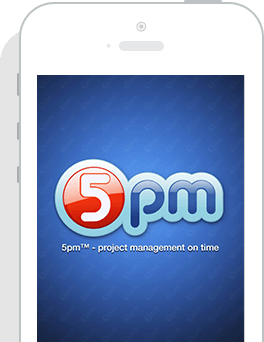 5pm app is available on iTunes - you can use it on your iPhone/iPad too! Access the mobile version from your iPhone, Android, Blackberry, Windows Mobile devices, Amazon Fire, etc. 5pm is used all around the world and is available in many languages. 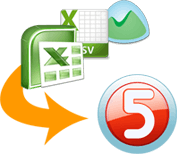 Import Projects, Tasks and Users from CSV / Excel, Microsoft Project or Basecamp Classic files. Log time and submit it to 5pm with a desktop widget on your PC, Mac or Linux computer. 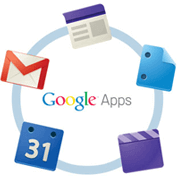 5pm app is available on Google Apps Marketplace! It can use your Google login and comes with a Gmail gadget! With 5pm and 8am you get a project management and CRM bundle. 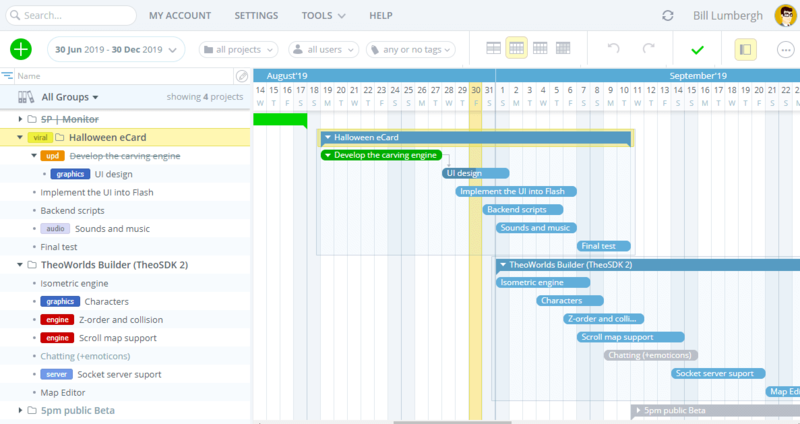 And now you can display 5pm tasks in a 8am calendar view! If you are working with visual projects — Firefly allows you do add annotations right on top of your designs, that can be linked to 5pm tasks. 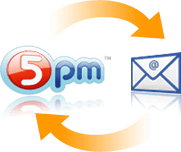 Expand and integrate 5pm with your own tools using 5pm open API. 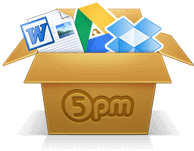 Looking for integrations of your other tools with 5pm? Need to build custom reports or apps on top of 5pm API? Or have an idea for a brand new tool for your business? orange5 specializes in custom software development on a wide range of platforms — they develop web, mobile and desktop apps. Have any questions or need technical support? Just drop us an email at support@spam.com and one of our team members will contact you in no time.